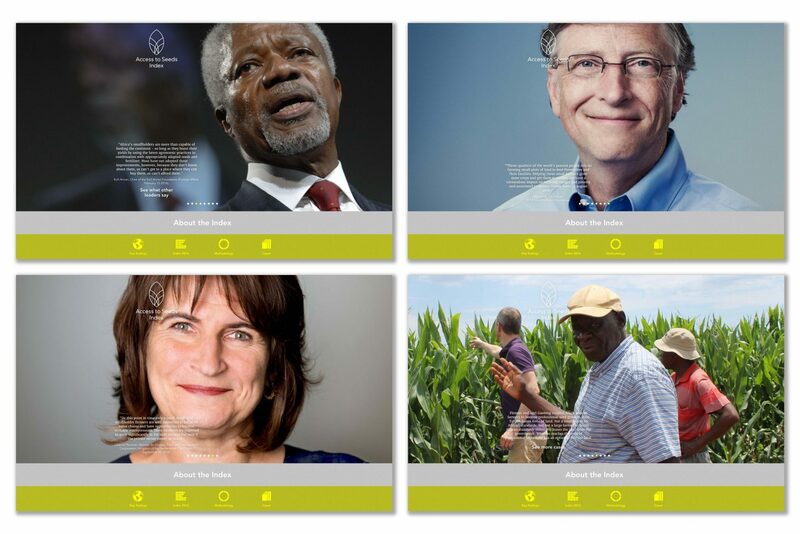 Global food security is one of the most pressing challenges of the 21st century. 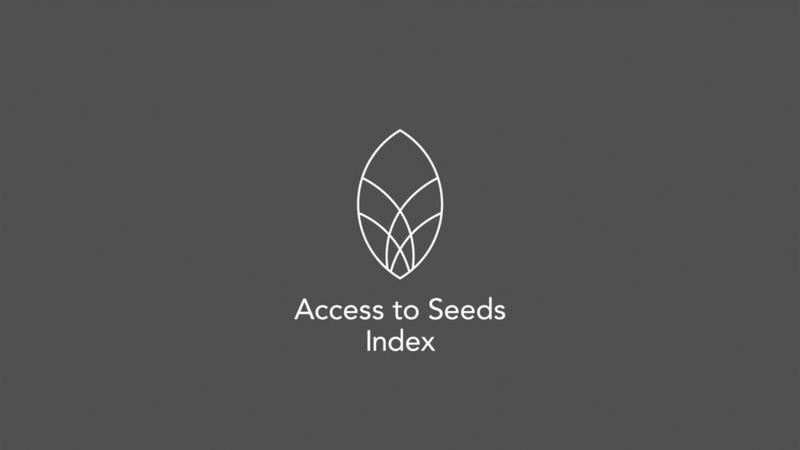 The Access to Seeds Index assesses, scores and ranks seed companies according to their efforts to improve access to quality seeds of improved varieties for smallholder farmers. 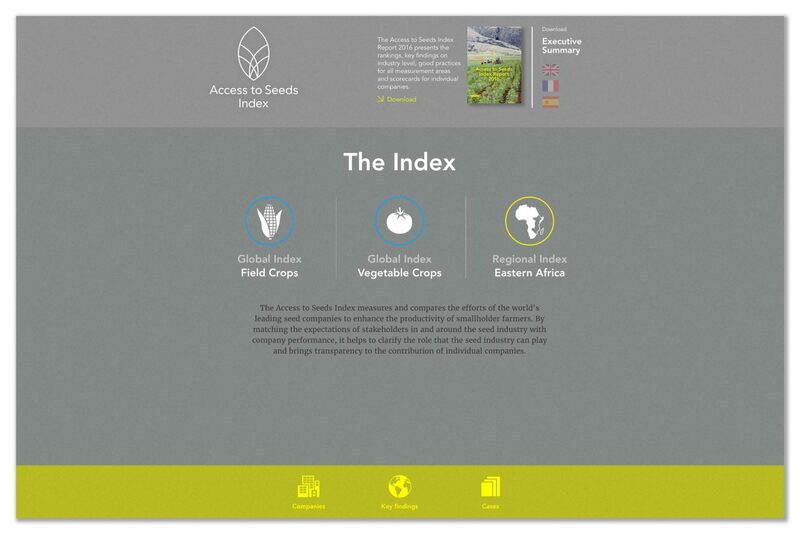 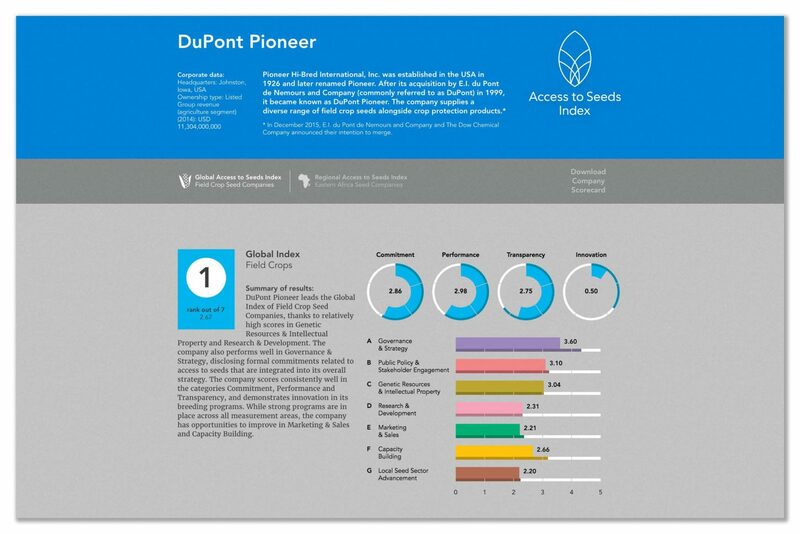 The Index seeks primarily to identify leadership and good practices, providing an evidence base for the discussion on where and how the seed industry can step up its efforts. 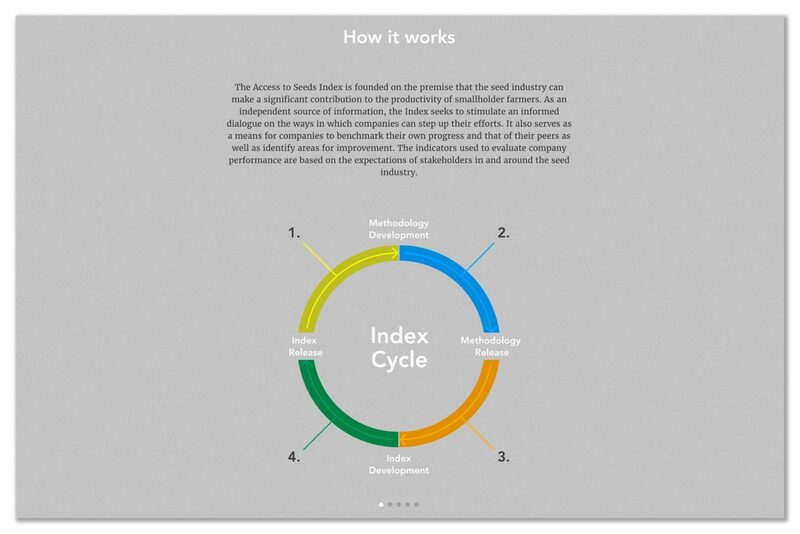 As a benchmarking tool, the Index aims to incentivize seed companies to improve their performance. 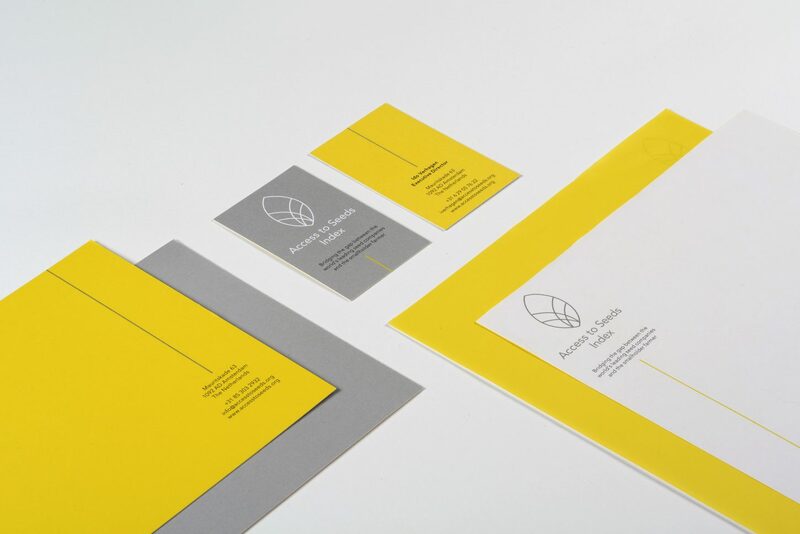 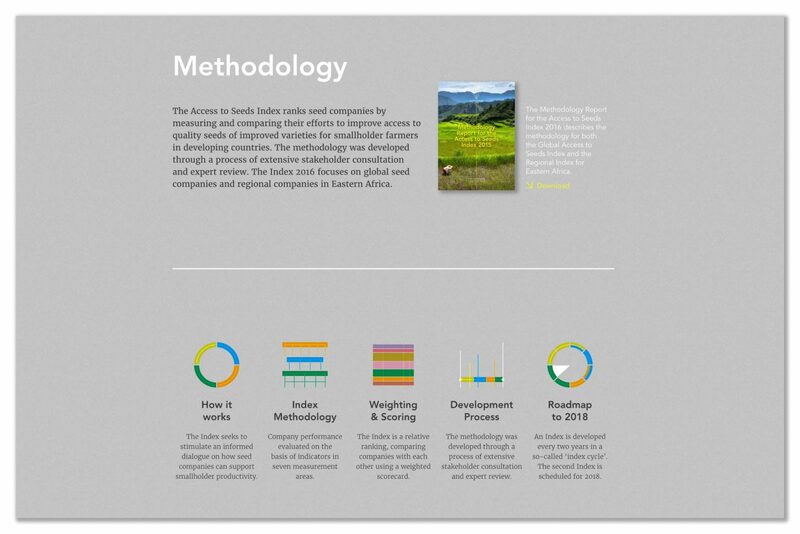 K&H developed a fresh corporate identity and insightful visual language of images, texts and dynamic infographics Al these parts share one essential goal: laying out this important and at times complex matter in a clear and insightful way for both global stakeholders and the general public. 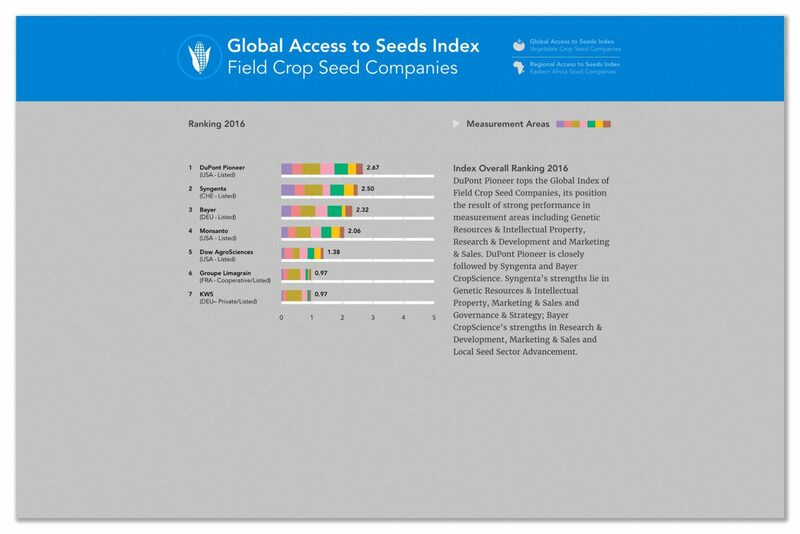 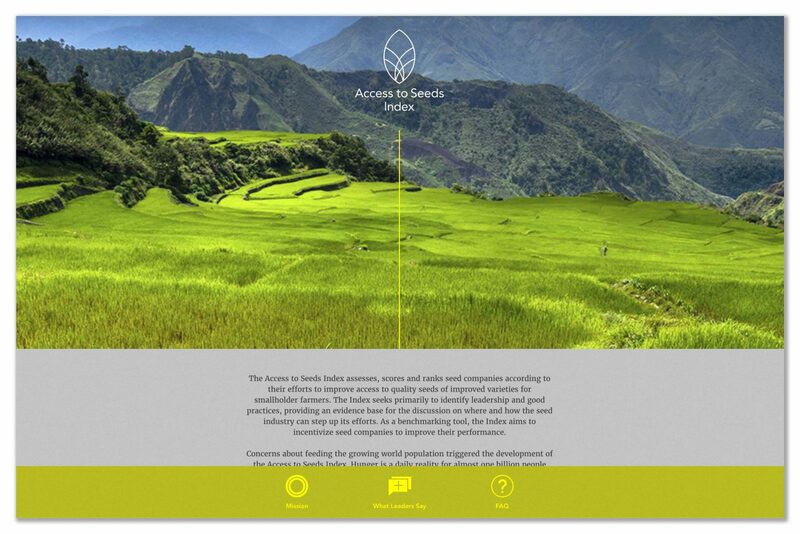 The Access to Seeds website, which contains all up-to-date data and rankings as well as extensive information on the methodology, plays a central role. 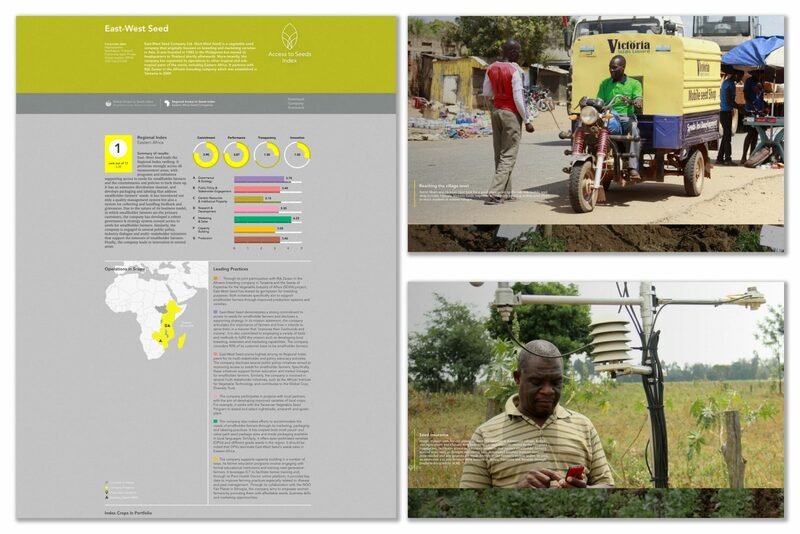 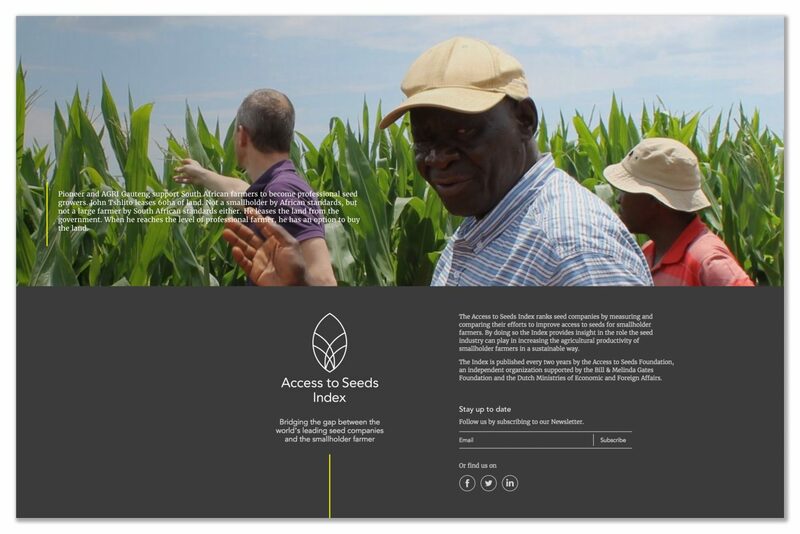 As a longterm partner to the Access to Seeds organization, K&H continues to be responsible for the design of all updated reports and other communications means.